Here's a texture set that will get you started creating environments that look like they've been mocked up from arts and crafts materials. Download the pack here. In addition to bitmap textures that have been rendered at a size of 512 x 512, the pack includes the original GTX files that can be opened in Genetica either for modification or for rendering at a larger size. Download Genetica here. The included textures can be placed on planes, boxes, and cylinders to make environments like the following. 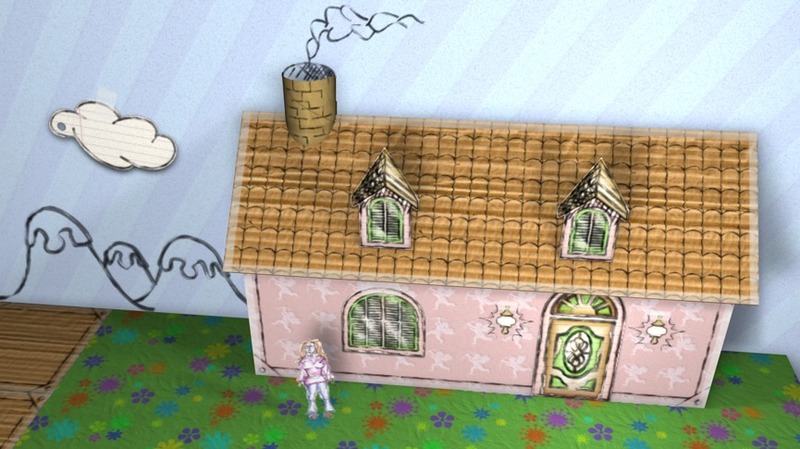 The textures can also be used for 2D side-scrollers. A number of the textures include opacity channels so that they can be layered on top of other textures. 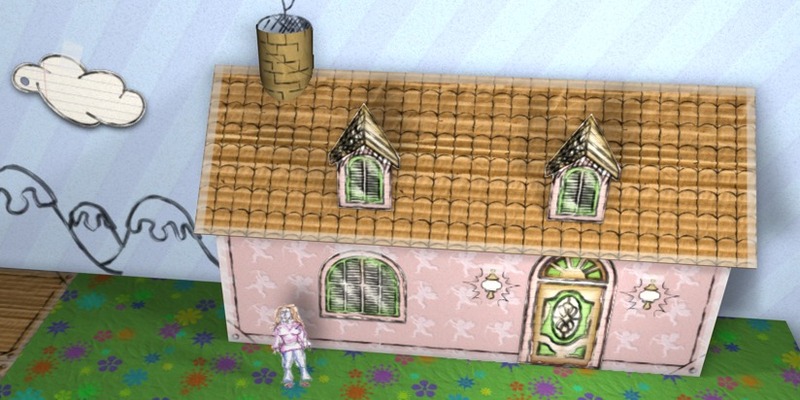 Full-featured 3D environments will include decal or texture layering functionality for this purpose. However, textures can still be layered in environments where such functionality is not present, such as Second Life. To accomplish this, create two surfaces, one of which is slightly in front of the other one. Then place the transparent texture on the closer surface, and the opaque texture on the farther one. 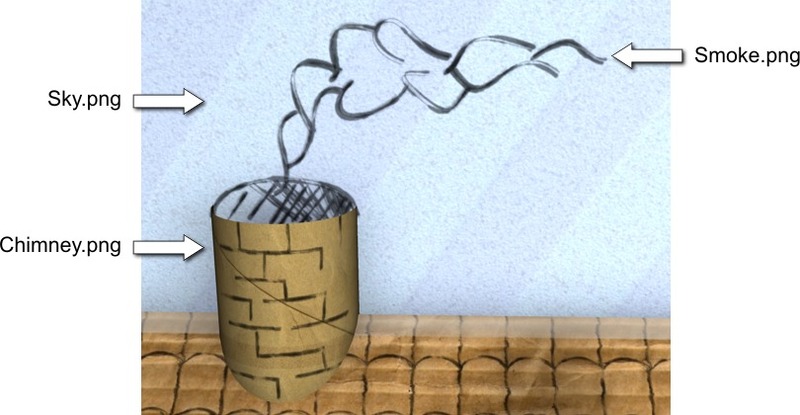 The chimney texture is intended for use on a cylinder that has end-caps removed. If the chimney is sunk halfway into the rear wall of the environment then the smoke texture can be placed on that rear wall as shown below. 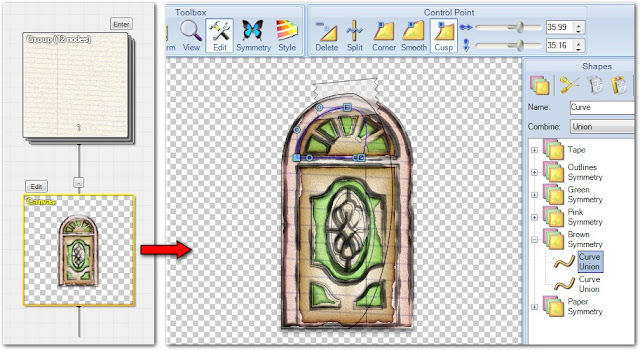 To modify any of the designs, open the GTX file in Genetica, then double-click the Canvas node to reveal the Canvas tab as indicated by the following illustration. Once there, designs can be modified using standard drawing tools. A tutorial demonstrating those tools can be found here. Have you found this resource useful? Would you like us to keep it up? Show your support by liking our Facebook page. Been looking for something like this! Perfect. Thanks guys.